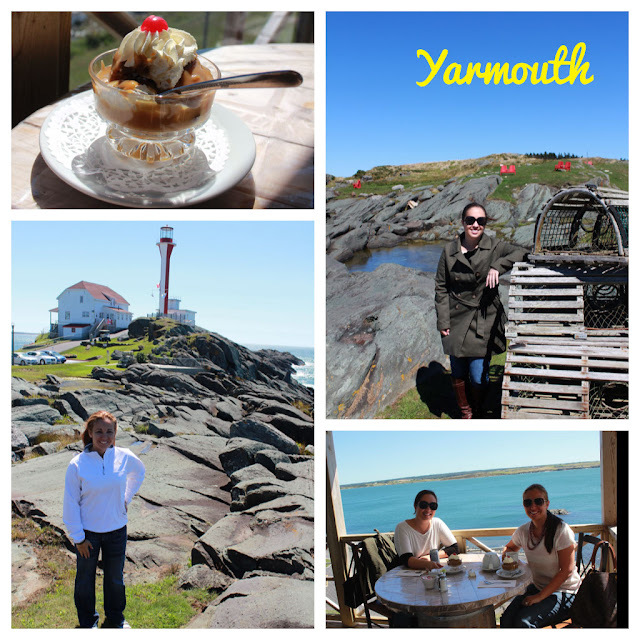 From there, we headed to Pubnico and stumbled across an adorable Acadian village 'experience' where we learned about the early settlers to the region. There was a tiny little lighthouse there too! They pointed us towards Dennis Point Wharf, where we were able to see a real-life fishing port, one of the busiest they have. We asked what people in the area do outside of tourism, and everyone responded that fishing was truly the occupation int he area! After Pubnico, we ventured out to the remote Sandy Point Lighthouse, which sits in the water. We didn't stick around long, because there happened to be a wedding going on! But we loved seeing all of the homes along the scenic coastline. We then ventured on to Liverpool. The Fort Point Lighthouse looked like a little house! It was very small and a quick stop along our journey, but it was worth it to see the incredible homes. We both picked out "our" houses there! 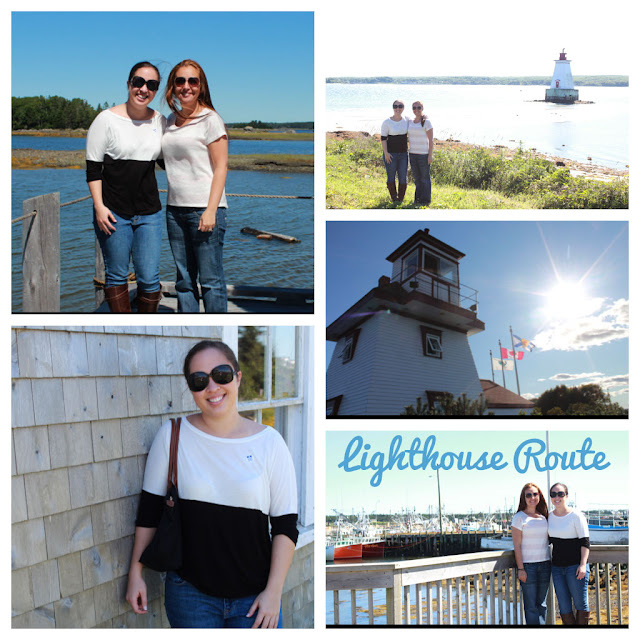 Our last stop along the Lighthouse Route was Mahone Bay... we didn't see an actual lighthouse, but we saw the adorable Three Churches area and noticed some shops we wanted to revisit. Back in Lunenburg after a long day on the road, LD was feeling pretty brave... so when we had dinner at the Old Fish Factory, she ordered a fresh steamed LOBSTER! Neither of us knew what to do with it, but after a little instruction she demolished it like a champ. I even tasted some, and not being a fan of seafood it was actually really fresh and delicious. I do think that having such a fresh, local lobster spoiled us for life. We were on the road for quite a bit, but with the frequent stops it didn't feel like it at all. The weather was absolutely gorgeous, and the fresh air was invigorating.